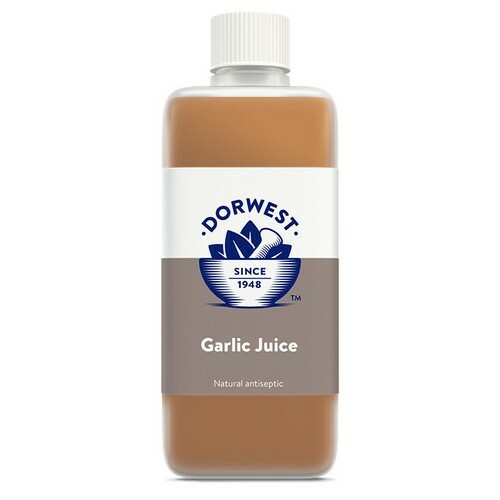 Garlic Juice has natural purifying properties and is ideal for cleaning paws and ears and to soothe scratches and minor skin problems in dogs. Fleas don’t like the pungent odour of garlic, making this liquid useful to comb through the coat to combat this problem, particularly during the summertime when external parasites are more prevalent. May also be dropped directly onto ticks to facilitate easy removal. 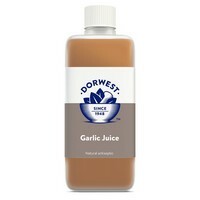 Garlic Juice is also suitable for adding to the drinking water of all small animals and birds. Also available in 125ml bottles.